A sheet is a vital tool used in the workplace that makes tasks less of a burden to deal with. These are used in making necessary documents that are commonly used by various groups of people usually found in school or in companies. There are a lot of types of sheets used in the varying workplace setting such as balance sheets, budget sheets, bank statements, invoices, and ledgers. Balance sheets, for example, are very important for businesses since they rely so much on the gathered financial-related information found in it and that information is also used in the analysis of the other aspects of the business. Sheets come in varying formats and style since it depends on how these are being utilized by an individual. But whatever format and style a sheet has, general sheets, in general, are designed to make every task in the workplace easier and quicker to accomplish and the fact that there are varying sheet uses to prove that sheets make the lives of every worker more convenient and their performance efficient. All of the kinds, formats, and styles of sheets help in providing a professional and logical solution to all of the imaginable problems that workers may possibly encounter as they execute their tasks. Sheet examples and sheet templates make it for everyone to use a same sheet format for the same task or purpose again and again. Sheet examples and sheet templates are also important for creating documents that are needed in bulk. With that, we have provided a variety of more than forty sheet examples that are available and convenient for you to download and make use of. 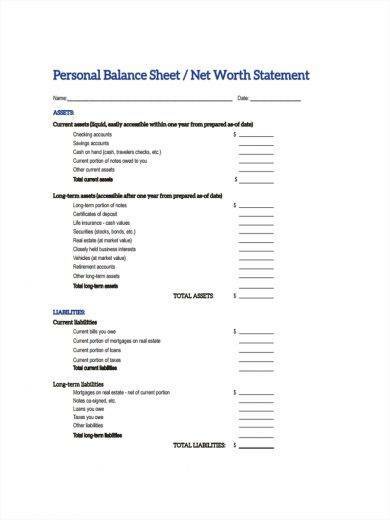 A balance sheet, which is sometimes called as a statement of financial position, is a financial statement that reports and shows a business’s assets, liabilities, and the amount invested by the shareholders or their equity as of a particular point in time. Assets are used by companies particularly in its business operations. Balance sheets basically provide the overview of what the business is worth at a specific point in time as well as what the company owns and owes. The purpose of the balance sheet is that it provides the company the idea of its financial standing or status at a particular time. 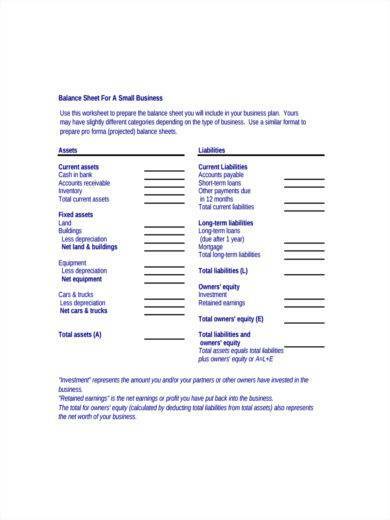 Balance sheets are a vital tool for most business owners because these are used to gain insights into the company’s financial operations and standings along with the income and cash flow statements. How so? It is by figuring out the overall assets owned by the company. The total amount of how much it owes from lenders or banks also needs to be outlined. 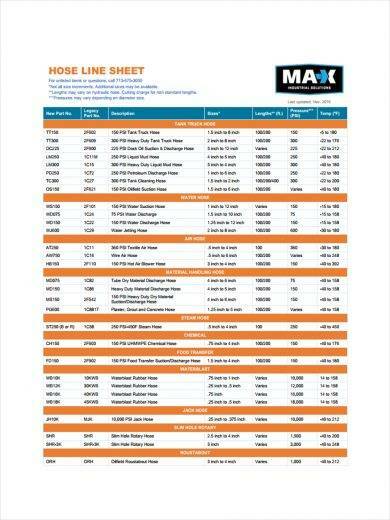 You may also see training sheet examples & samples. Balance sheets are not used to show results even if it can be used when comparing account balances from varying time periods. Basically, the layout of a balance follows the formula, which is also the basic accounting equation, that goes Assets = Liabilities + Owners’ Equity. It will then help in answering the questions regarding efficiency and liquidity of a business. Balance sheets are usually prepared at the end of a reporting period that may be done monthly, quarterly, or yearly. 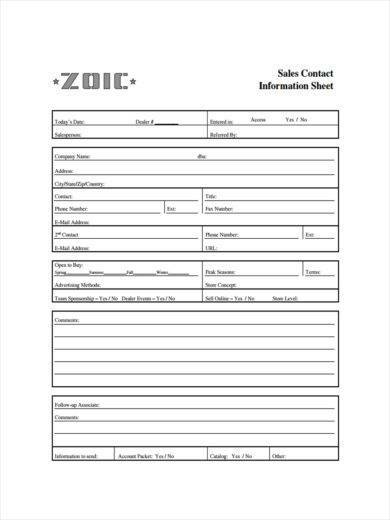 You may also like sign-in sheet examples & samples. A sheet can mean differently depending on how it is being used. In the classroom setting, sheets could mean any piece of paper that is used for daily classroom activities. In the business setting, when doing the inventory, an inventory sheet is used in recording the current number of available stocks for a product. Or when making or shooting a film, you would use a call sheet that contains all the information that your cast and crew need to know before shooting the film. You may also see sheet examples in PDF if you would like to know more about sheets. How to Make a Sheet in Excel? If you would rather create your own sheets instead of utilizing ready-made sample sheets in Excel, you make use of the following simple steps in creating worksheets in Excel when manipulating data and information. 1. Launch the Microsoft Excel program on your computer or laptop. 2. 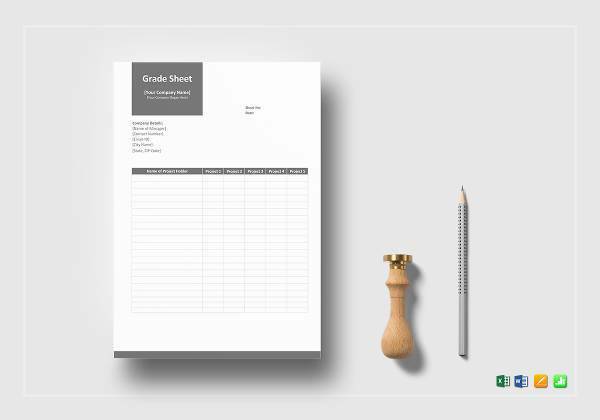 As soon as it is launched, Excel will automatically create or open a blank sheet for you. 3. The blank sheet contains multiple cells where you can place your data as well as the formulas necessary in data manipulation. You may also see monthly sheet examples & samples. 4. You may add or delete sheets by right-clicking on the sheet tabs and just choose insert or delete sheets. 5. Rename you sheet by right-clicking “Sheet 1” on the sheet tab then clicking “Rename” after and just put in whatever name you want to name your sheet. You may also like score sheet examples & samples. What Is a Fact Sheet? A fact sheet is a kind of sheet that is used in order to list important facts regarding a certain topic, issue, and the like. 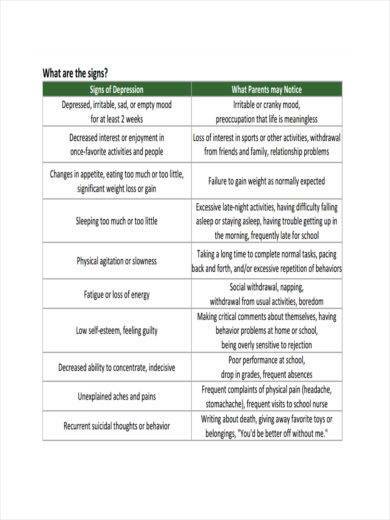 These are pretty easy to create, plus it is cheap and easy to understand. Fact sheets are commonly used by those people in the field of journalism and public relations because these are useful in concisely summarizing the information gathered related to the current news item that the journalists are currently working on. 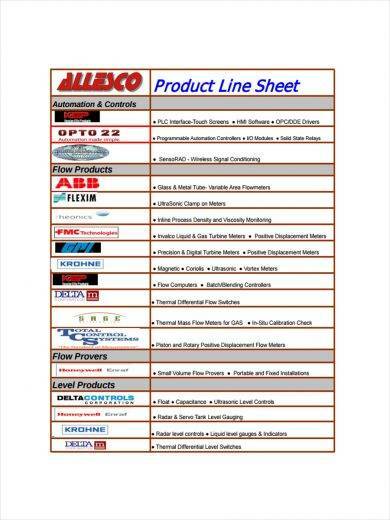 Fact sheets, in the business setting, are also used when listing down the details or specifications of a new product or service along with some comprehensive figures and tables. 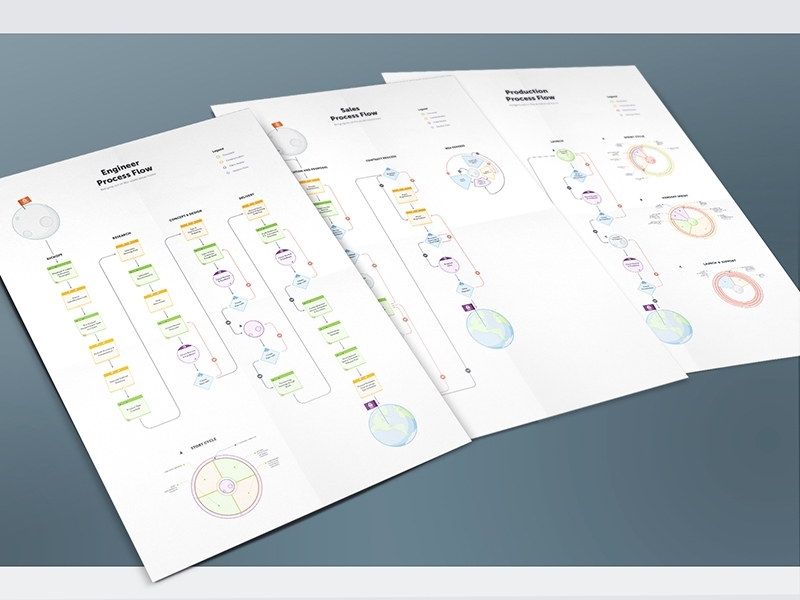 Fact sheets are also used as an additional information to a presentation or discussion of a sales plan. 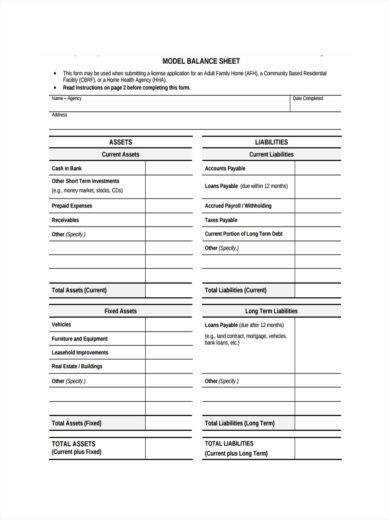 Fact sheets contain the key information for a certain product or service and are often filled with tables and figures. Fact sheets are handy and it can serve as a quick reference a journalist can use during his or her interviews, news report writing, speech writing, and letter writing. Keep in mind that fact sheets do not aim to answer every question regarding an issue but it only aims to supply the necessary basic information. 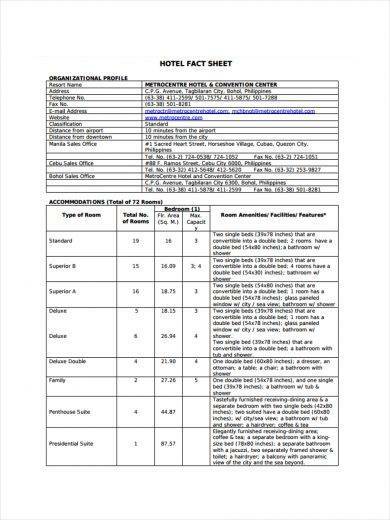 Commonly, fact sheets contain lists and would focus more on the number and statistics. The data are usually formatted in bullet form for the purpose of easy reading. You may also see Fact Sheet Examples & Samples for more insights regarding fact sheets. 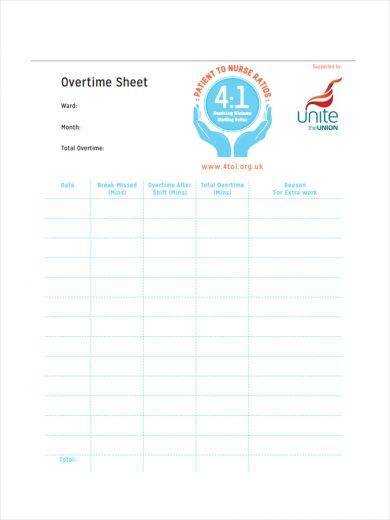 What Is an Overtime Sheet? An overtime sheet is a document that is used and filled out by employees in companies when they would like to work beyond their regular work schedule or their minimum contracted hours and to be given the permission to do so. 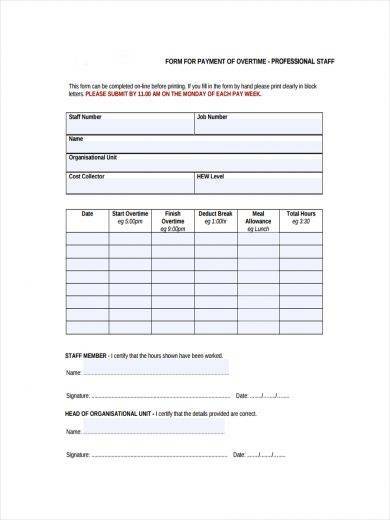 This is used by businesses in order to document or record, to validate, and even to evaluate the performance done during that particular overtime work filed by the employee. Overtime policies vary from company to company. Filling out an overtime sheet is not just an accordance to the company policies but it is also a way of safeguarding both the interests of the company or the management and the employee. You might wonder why there is a need to file for an overtime when you can just continue working until the end of the hours that you want to work overtime on. There are actually two major reasons why: first, it is for the compensation, and second, for the fairness and safety of the interests of both parties, which involves the employees and the company. 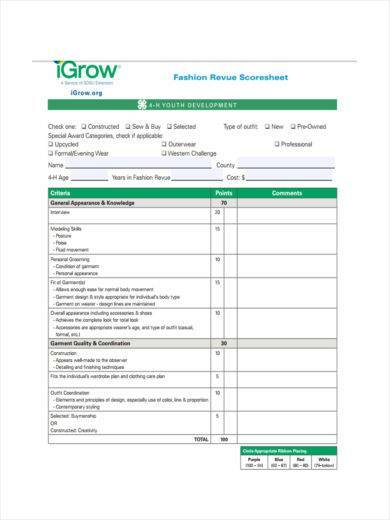 You may also see job sheet examples & samples. For the reason of compensation, the overtime sheet is a necessary tool in order to ensure that the overtime filed by the employee is recorded and that the employee is also justly compensated for his or her overtime hours. As for the reason of fairness and safety, overtime sheets are necessary in order to regulate the number of overtime filed by the employees as well as to minimized the possible abuse of overtime and also to ensure that the employee is indeed working during those hours he or she has filled overtime. 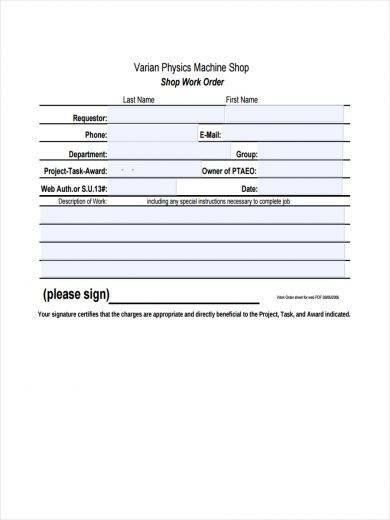 You may also like task sheet examples & samples. 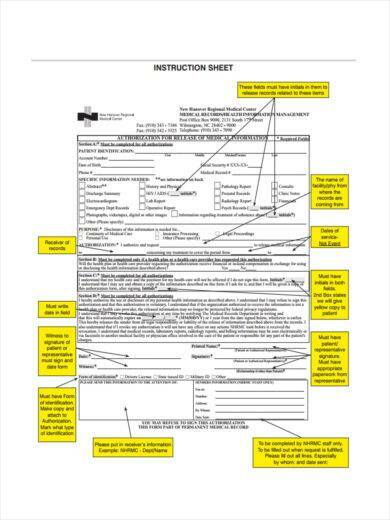 What Is an Instruction Sheet? Instruction sheets helps in making tasks easier, faster, and even more organized because these provide the proper and accurate set of instruction that you can follow in order to execute a task correctly. This kind of sheet is applicable to different areas and aspects be it in the business operations, school-related projects, or even in your personal life. Having a well-written and clear instruction sheet enables you to tackle all of your responsibilities easily and responsibly. In your life, be it both in school and work, you would encounter a lot of tasks that can get overwhelming at times. Even the new products you buy, say an appliance for example, you might get flustered at figuring out how it works. However, with the instruction sheet that is provided in every task and in every item you buy, you will be able to accomplish the tasks and use the product effectively. You may also see medication sheet examples & samples. 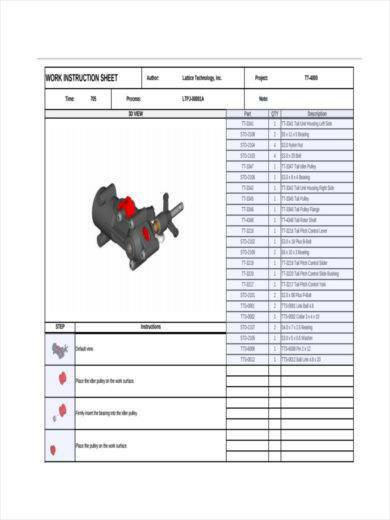 Instruction sheets provides a step-by-step guide that you can follow in order to accomplish a certain task, plus it also enables you to learn because as you read the instructions, you continuously learn up to the point that you would no longer need an instruction sheet since you have mastered its steps already. You may also like examples of schedule sheets. 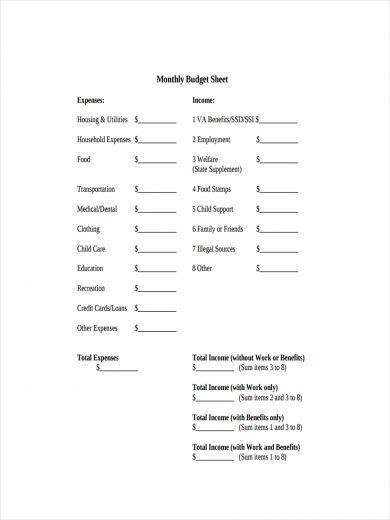 Budget sheet is a kind of ledger that may be used for both personal and business purposes. When you use it for personal purposes, it could be that you are using a budget to manage all of your finances. As for business purposes, it is used to show the appropriation of budget, budget release, as well as the budget expenditure. Budget sheets provide information about the budget release such as the appropriate amount of money to be released, how much has been released, and the amount that is yet to be released. 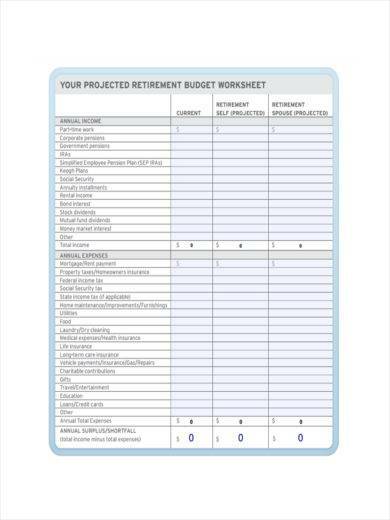 Budget sheet also provides the necessary instruction solely for the operating level officer to execute. Budget sheets also help in controlling the budget of a business as well as in facilitating the preparation of the statement of expenditures. What Is a Bid Sheet? 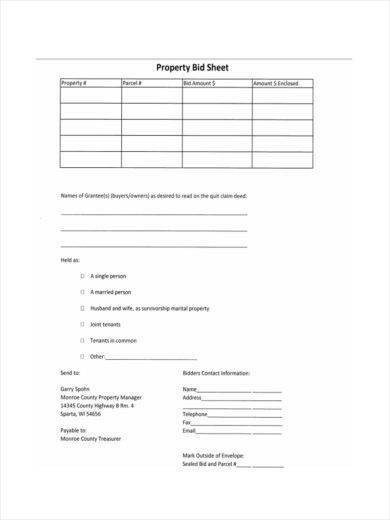 Bid sheets are usually used in auctions. 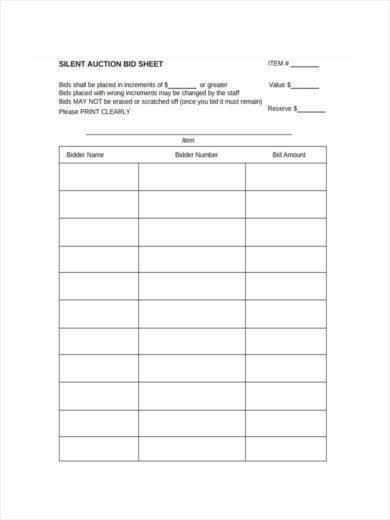 A bid sheet shows a donor’s decision whether he or she is going to place an item on bid or not. That is why, should you conduct an auction, you have to make sure that the bid sheets your provide to the prospective buyers contain all the interesting and necessary information on the items to be auctioned in order for it to be very appealing to the prospective buyers. Whatever kind of sheet you are currently working on, be it a balance sheet, budget sheet, or bid sheet, you must make sure first that you fully understood the purpose of the sheet that you are going to prepare and analyze. It will then be easier for you to proceed on to the next steps if you have full understood what you are about to do. You may also see instruction sheet examples & samples. Handling and preparing sheets can be pretty boring if you would not consider its physical look. Hence, you must make sure that before you deal with all the nitty-gritty, you have to check up on the design of the sheet. The design of your sheet affects the way you analyze your sheet. You might get your contents jumbled to the point that the point of sheets making your life easier gets defeated just because of its poor design. You may also like student sheet examples & samples. When analyzing any kind of sheet, it is best if you will accompany it with other documents to make your analysis better such as when analyzing balance sheets, view it along with other finance-related reports like the profit and loss statements as well as the Value-Added Tax reports, if it is applicable. What Is an Expense Sheet? 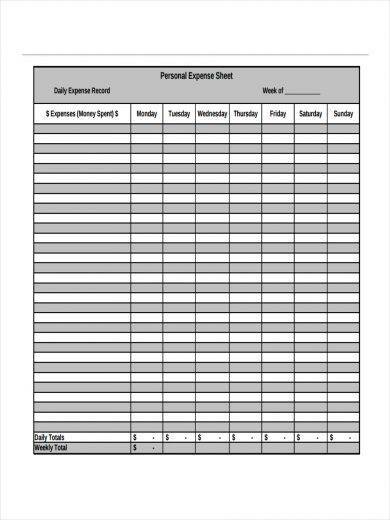 Expense sheets are helpful especially in tracking and managing your finances. 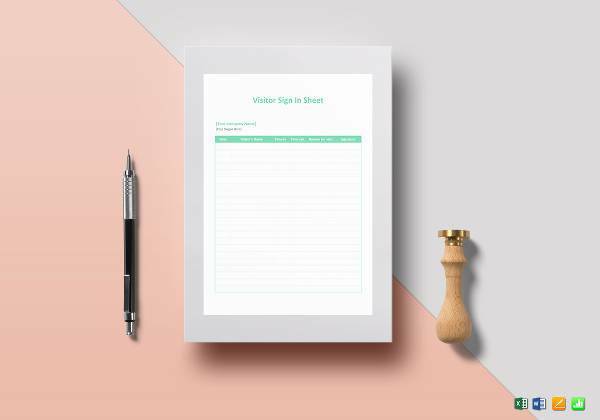 Expense sheets can be both used in business and it can also be used for personal purposes especially when you would also have a budget sheet since these two would work best if you have these two together. You may also want to check and view Expense Sheet Examples should you want to gain more insights regarding expense sheets. 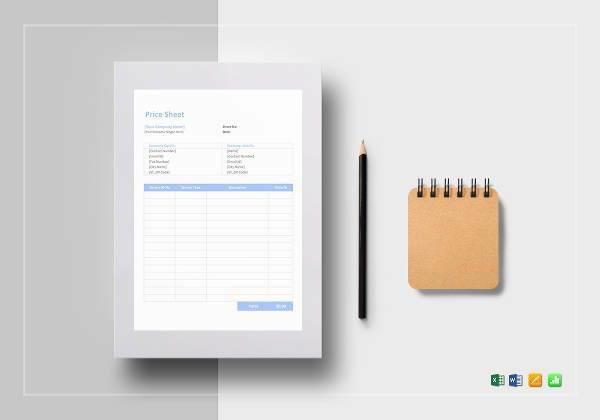 A line sheet is used to provide buyers all of the vital and necessary information that they need in order to make a purchase. You might think of this as a catalog but you have to take note of its difference, which is the fact that it is a bare-bones document that contains nothing but practical information without allowing any room for verbose descriptions or elaborate imagery. You may also see assignment sheet examples & samples. 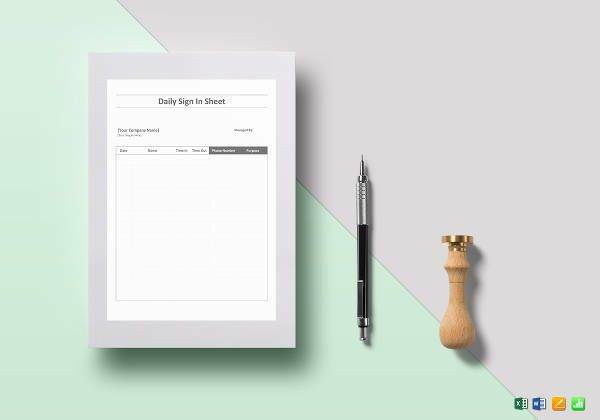 Line sheets are also considered as sales tools that are being used by a lot of brands and even designers when they would want to present their products to wholesale buyers. They use these because they know how effective these are when they would want to provide a product image along with its appropriate information, which are the elements needed by most buyers when they would make a purchase. 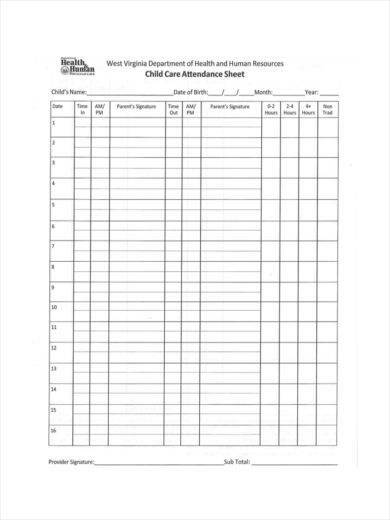 You may also like printable attendance sheet examples. 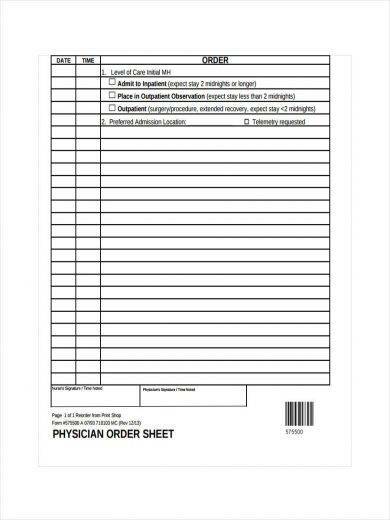 What Is an Order Sheet? 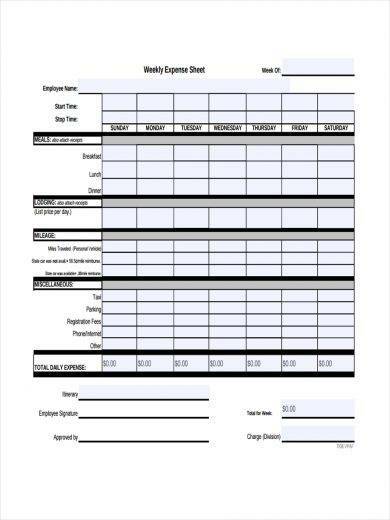 Order sheets are basically the sheets customers and clients would fill out when they would request goods and services from you. 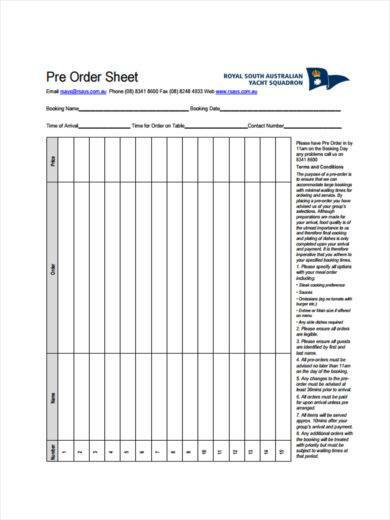 Order sheets contain the information regarding their order, how much it costs, and other important details relating to your trade. Order forms would also include the information about the delivery date as well as the payment terms. 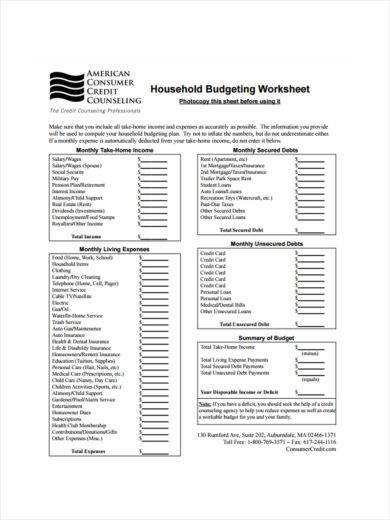 You may also see budget sheet examples. Make sure that the order sheet of your business is tailored according to specific industry that your business is found under. 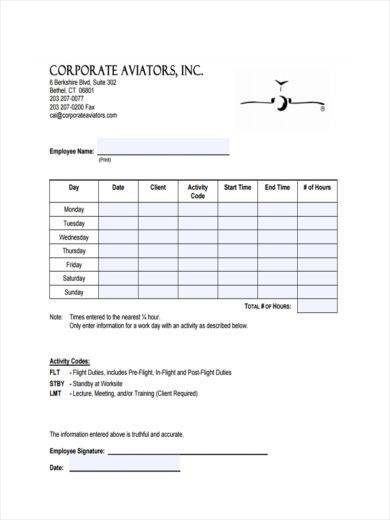 Not all available order sheet templates are appropriate to the kind of business you have. 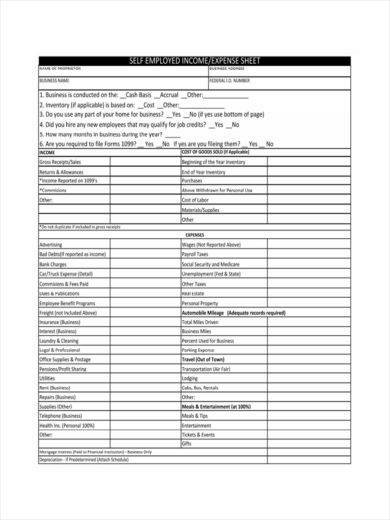 What Is a Job Sheet? 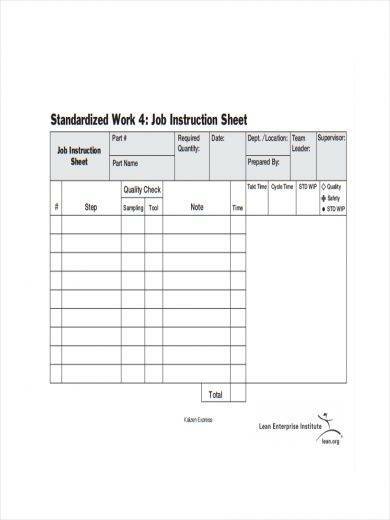 A job sheet is a document, which usually comes in just one page, that contains various instructions that helps an employee do his or her job. 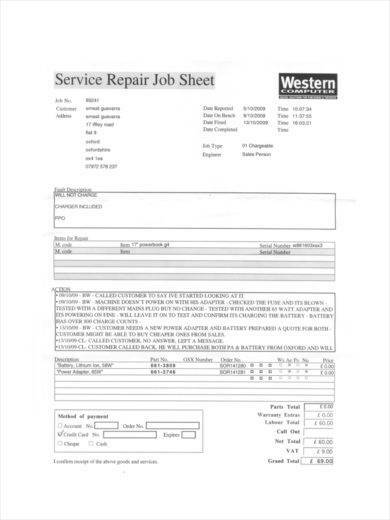 This sheet contains important details such as the time and date of when the job should be performed as well as the necessary materials needed to get the job done. 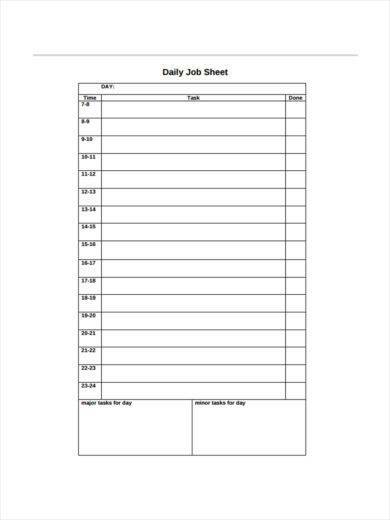 Most job sheets have blank quantity so that employees would be able to easily fill it out during or after getting the job done. 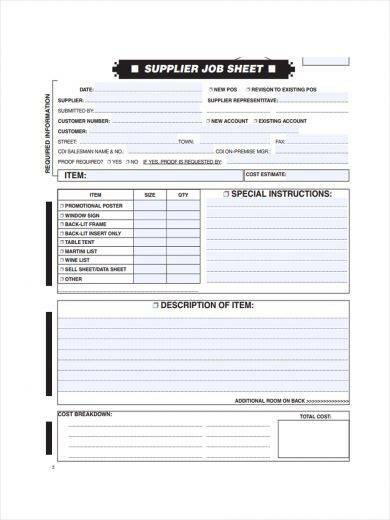 Plus, job sheets are also used in the procurement of both direct labor as well as the total cost of the materials. 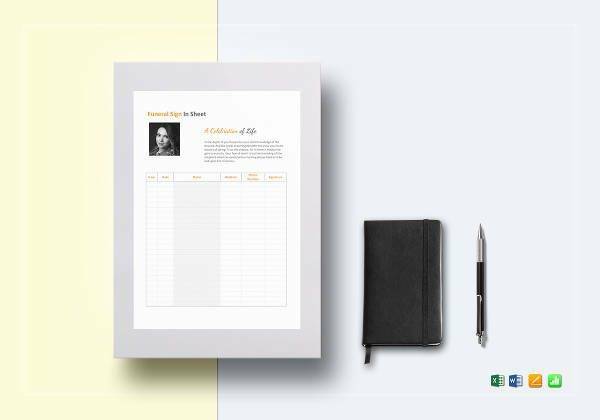 Another use of job sheets is that it contains the job description of each employee which helps in ensuring that the employees are effective and efficient in executing their job. What Is an Attendance Sheet? 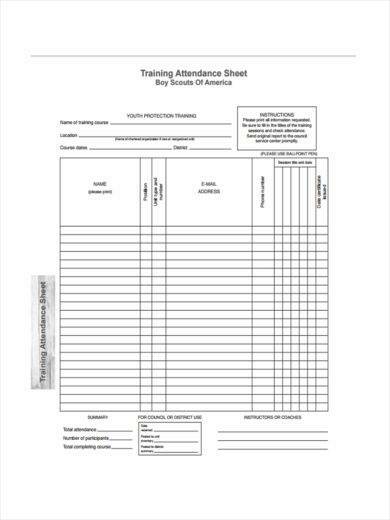 Attendance sheets are useful in tracking the attendance during a class, a meeting, and the like. These are often used in classes but it could also be used in the company setting when they would conduct meetings. 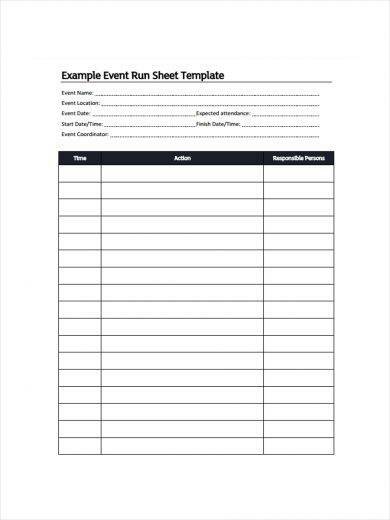 Attendance sheets are also helpful when you will be setting up an event in which you have a separate sheet for each of the registration and attendance. There are various uses of sheets depending on where you would be using it, but the most important use of sheets is that it makes tasks in both school and the corporate setting easy to handle and accomplish. 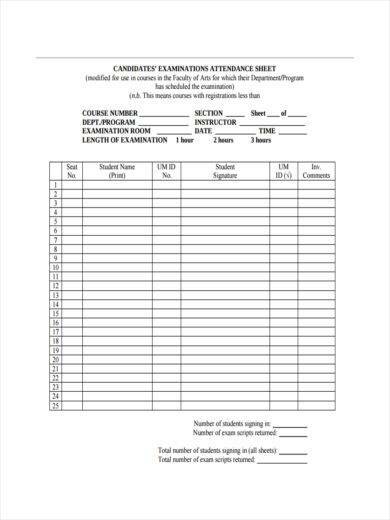 Attendance sheets, for example, ensure that the attendees would have a proof and a record that they have, indeed, attended the event. Budget sheets also help in determining the allocated budget for business projects and operations. You may also see client information sheet examples & samples. Call sheets make it easier for the production assistants to help the production reminded of the next scenes they are to shoot for the film and in determining who are the important actors who should be ready on the set. These are just among the important usage of sheets and there could be a lot more, but one thing is for sure: the use of sheets makes our tasks less of a burden to deal with. 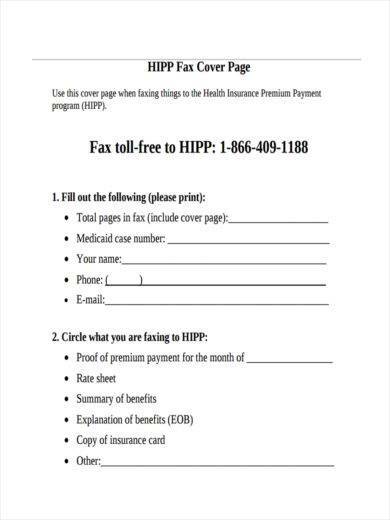 You may also like fax cover sheet examples & samples. To make a cover sheet effective, you have to make sure that you have kept its design simple so that it will be easy to comprehend. Simplicity is always beauty and it will always attract more compared to those cover sheets that have complex designs. 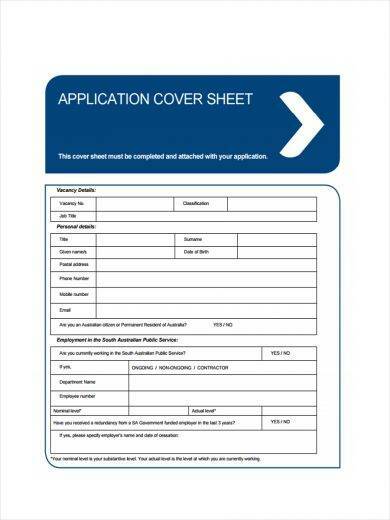 There are many ways in which you can create an amazing cover sheet. First and foremost, you must keep the design simple. As a matter of fact, simple designs attract more attention than complex ones. This is true in terms of all visual entities. The second important thing that needs to be kept in mind is the content. A good cover sheet is never content-heavy. A very few words should be used to convey the message the sheet intends to convey. You may also check out fraction worksheets examples. A lot of words make a document look clumsy. If you take care of these two things, you will end up creating an effective cover sheet. Contact sheets contain important list of contacts. 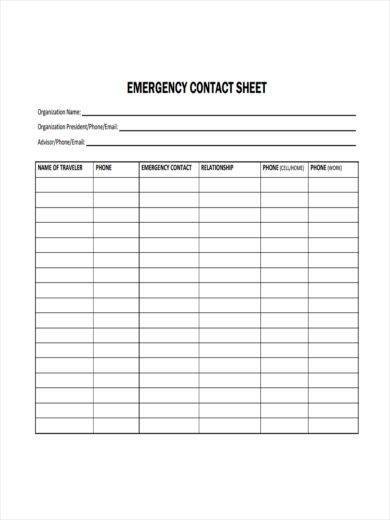 These contacts could be the numbers you need to reach someone in case of emergency such as the police and the hospital. A contact sheet would also contain the list of your clients and customers you would want to contact again for some business-related matters. You may also see debate worksheet examples. 1. Should you create a sheet for your own business or purpose, you must never compromise the design because this will badly affect the way people would fill it out. 2. Make sure that you have fully understood the importance of a sheet and the fact that it does not provide the answers but it will only provide you the information and it will only be up to you on how you are to interpret the information in a sheet in order to come up with an answer or a solution. You may also see punctuation worksheet examples. 3. Sheets are your handy tool for your business or even for your personal life. Make sure you use it well and make sure you follow or fill one out well so that it would not lead to any kind of complications in the future. We hope that the sheet examples that we have collected and compiled in this article have been of great use for you.